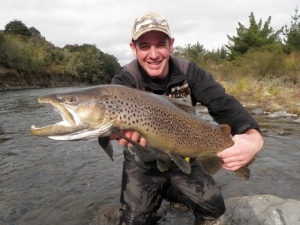 Kia ora and welcome, my name is Andrew Christmas and I have the privilege of being a professional fly fishing guide in one of the most beautiful and highly regarded trout fishing regions in the world, Taupo, New Zealand. 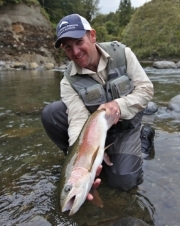 I am passionate about fly fishing and the New Zealand countryside and take great pleasure in sharing with visitors (and returning friends) the excitement and unique pleasures of fly fishing in these beautiful surroundings. While fly fishing is our main business and our main love in life, I am really happy to be able to offer all my clients the opportunity to hunt Red deer in an exclusive and safe environment. The option to hunt can be part of a selected package with fishing and accommodation or it could be just a day hunt with the objective to put meat in the freezer. 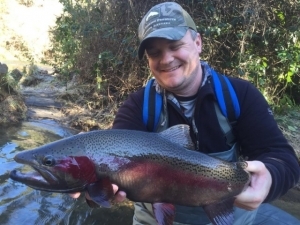 So check out my fishing services, my deer hunting services and contact me to book your next New Zealand fly fishing and deer hunting adventure. Taupo Lake Region, NZ, Fishing & Hunting Adventure from Tom Sallows on Vimeo. “Just wanted to say thanks so much for the absolutely outstanding hunting trip last week that Samuel and I had with you. I’m 51 and have wanted to go on a deer hunt for many years but have been worried about all the lead flying around in the main hunting areas in the north island!! The fact you have access to a big private area where no one else is shooting was the clincher, especially for my wife. The whole package is fantastic mate, from the safety and familiarity lesson with the rifle up at the gun range, (Man that’s a loud gun!!!) to the brilliant accommodation you’ve got at your place (The Bach!!! Pretty flash bach) then the pre dawn start the next day and the coffee at the Turangi bakery on the way thru to the hunting block was a great way to start the hunting day. The excitement levels really started to build as we began to drive into the bush area and once we parked it was good you calmed us down with another safety lesson and a really clear description of how we would actually go about the hunt. The hunt itself was awesome from spooking one in the first 10 minutes, to seeing all that sign in the bush and then, after creeping thru the bush like a commando for a while, we finally caught up with them. Luckily there are quite a few deer here as Samuel missing his first shot didn’t matter in the end, as he nailed his first deer about 30 minutes later (the poor guy’s heart was beating at about 200 and his hands shaking like a leaf). The wait for mine was awesome, hiding behind that tree stump, and when I was just starting to think there were no deer in the bush across the valley we were spying on, holy crap they showed themselves!!! ALL TEN OF THEM!!!. The slide/stumble/run down the hill when they weren’t looking was a real adrenaline buzz and the final scramble up to the ridge to take the shot is something I’ll never forget. Mana, we now had plenty of venison to take back to the family, yeehah. Thank god you drove us back mate as we were knackered, mainly from so much adrenaline in our bodies, although you couldn’t shut us up eh? The other important part of the package is you being able to hang the deer overnight at your place, while your lovely wife cooked us an awesome dinner (venison casserole to keep with the theme) a great feed and only 2 beers and we slept the sleep of the dead! Then next morning, skinning the deer, taking them to the butcher and working out what cuts we wanted was the completion of an outstanding package mate. 10 out of 10 Andrew, and the only thing I would change would be to get my own sniper rifle so I could knock over one of those spooky little Fallow deer from 500 metres!! If any prospective hunters want to talk to me that’s all good 021953819. Andrew Christmas fishing guide, in conjunction with River Rafting New Zealand, is proud to offer the ultimate in fly fishing adventure – raft fishing on the spectacular upper Tongariro river. This water opens for angling every year on the 1st of December and is only really accessible via the river. This allows anglers to get into untouched water to fish for resident and spawning fish. December and January are popular months with anglers as the upper river holds huge numbers of trout at this time of year due to late spawning fish from Lake Taupo. You get to choose between one or two days on the river. 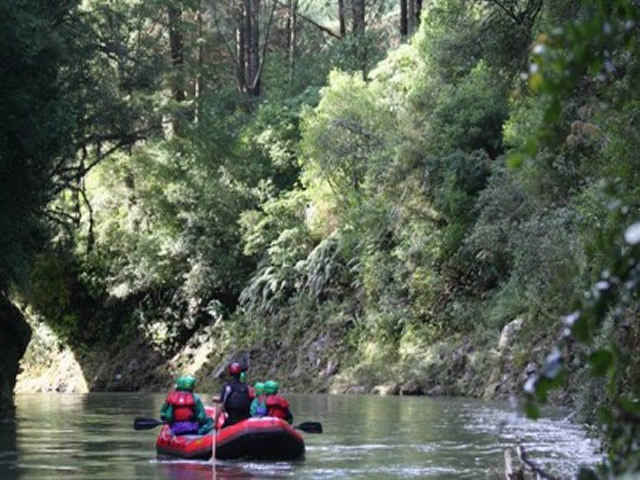 With the two day trip option we camp out on the banks of the river, under the stars, creating a fantastic wilderness raft fishing expedition. 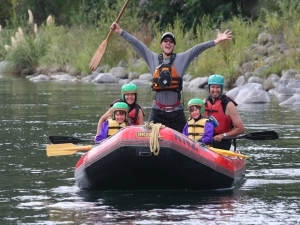 This is a great activity to do if you are a fly fishing enthusiast wanting peace and solitude and/or if you are looking for an adventure fishing trip combining an awesome ride down many exciting rapids with beautiful scenery and of course excellent fishing. So grab your best mate, your wife or even the whole family, there is plenty to do for people who don’t fish. They can sit back in the sun on the warm sand, enjoy a good book, as well as swim in the refreshing water, before helping to tackle the next rapid to get you to the next hot spot for fishing. From a fishing point of view we work on one or two anglers per fishing guide, this enables us to cover the water properly for you and give you the best service. Nymphing is our preferred method and this will ensure many solid hook-ups from deep swirly pools that even the best Polaroid’s can’t penetrate. A large terrestrial dry fly with a small natural off the bottom would also be a great option in the summer with good numbers of Cicadas and great evening mayfly hatches. The beauty of our trips is that you get unequalled service. You get two guides for the price of one. 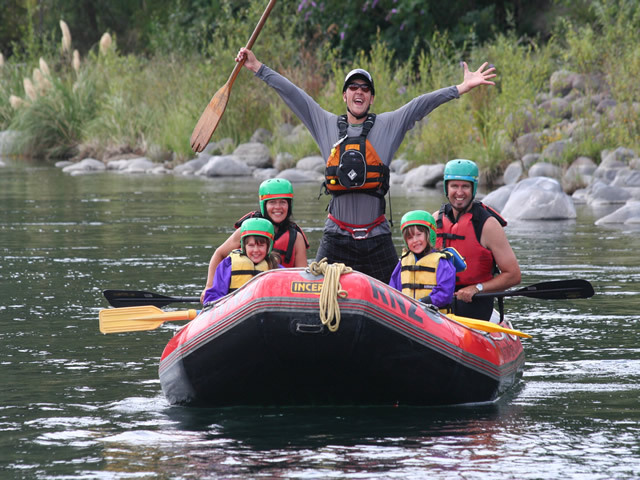 Your professional NZ river guide will expertly navigate you through the rapids and deliver you at the pristine fishing pools, from here your fishing guide, Andrew Christmas, will take over, so you can get stalking in the gin clear water. Anglers with varying capabilities are welcome, as the upper river provides great opportunities for everybody and is flexible for all methods of fly fishing, from wet-lining, nymphing and dry fly in the afternoon sun. Everything is provided when you raft fish with us, gourmet food, beverages, camping equipment, transport and expert guides. We pride ourselves on our expert knowledge and skills, small client to guide ratio’s (2:1), our excellent customer service and the quality of our trips. So if you are looking for a totally different experience with your fly fishing this summer and want something that you will remember for years to come, grab your best mate and get in contact now to book your guided raft fly fishing trip this summer.